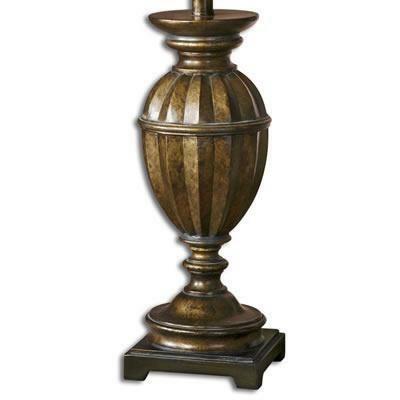 The Scanlon table lamp from Uttermost features dark maple wash with gold undertones. 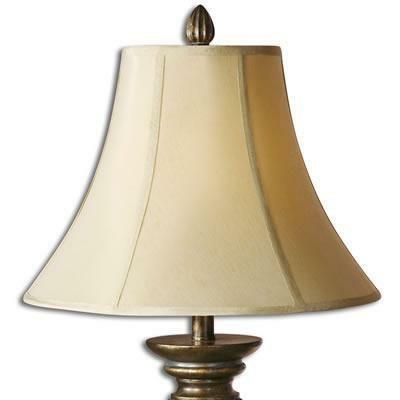 Silken champagne textile shade. Packed 2 per box but priced individually. 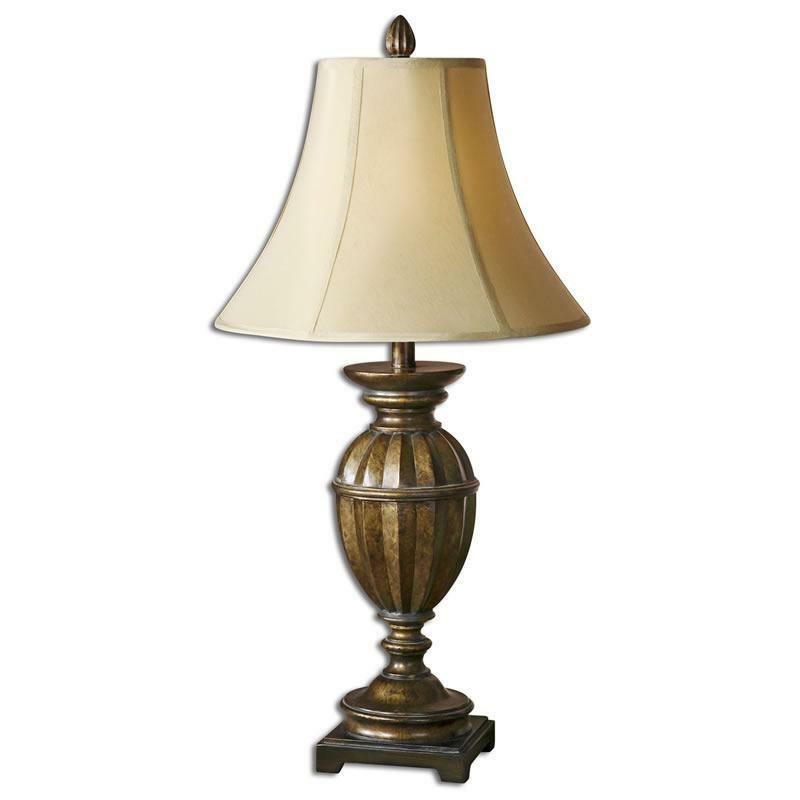 Additional Information Dark maple wash with gold undertones; Silken champagne textile shade. Packed 2 per box but priced individually. 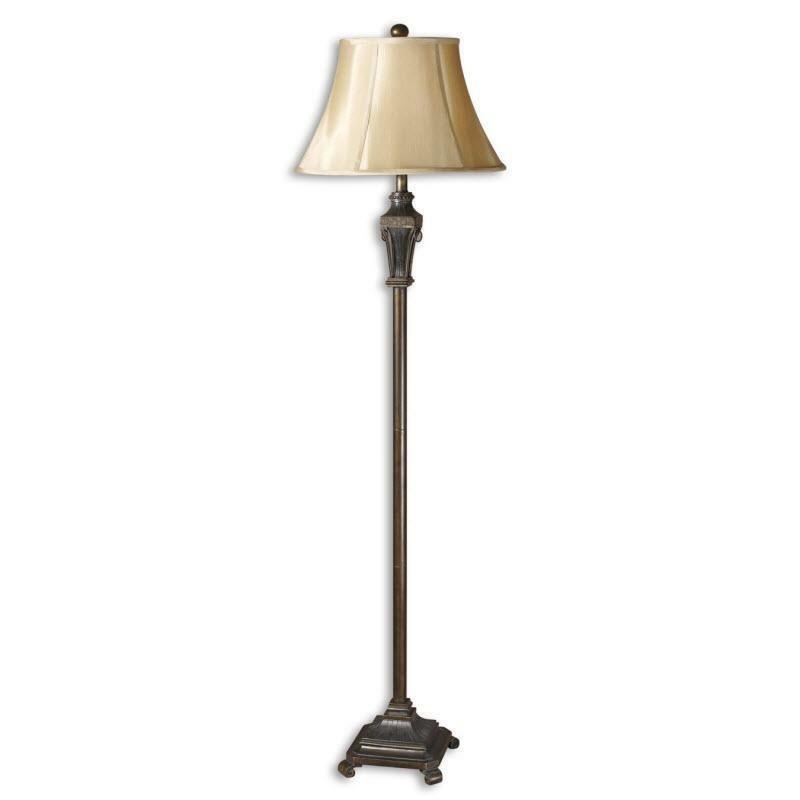 The Emmanuel floorstanding lamp from Uttermost features a golden bronze finish with antiqued black details. Silkened champagne textile shade. Packed 2 per box but priced individually. 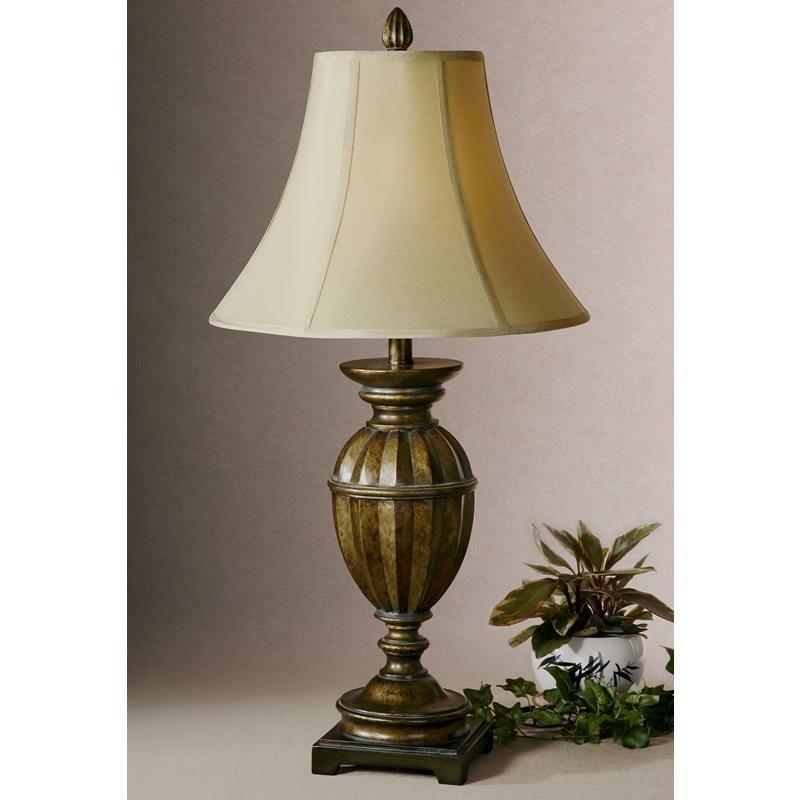 Additional Information: Golden bronze with antiqued black details; Silkened champagne textile shade; Packed 2 per box but priced individually.